Fun-filled and fantastic Corporate Family Fun Day activities stretched right across the grounds for as far as the eye could see, there was lots of entertainment for all the family to enjoy. The young ones revelled in delight across at the Inflatable Zone, with the Bouncy Castle, Children's Slide and Ball Pool putting the smile on many faces right throughout the whole day. 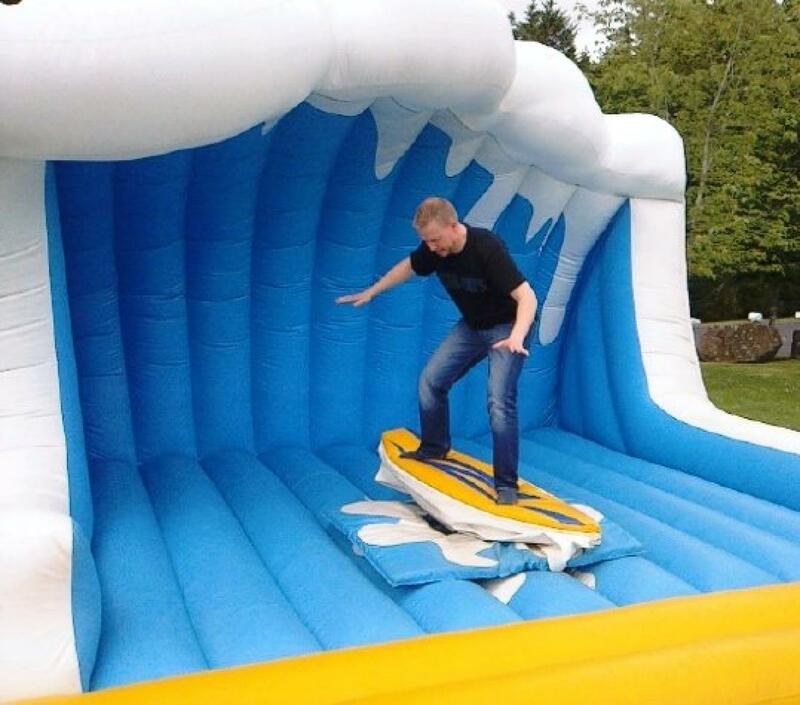 One of the highlights of the fabulous Corporate Family Fun Day was the Deluxe Surf Simulator, where there was plenty of hilarity to be had. 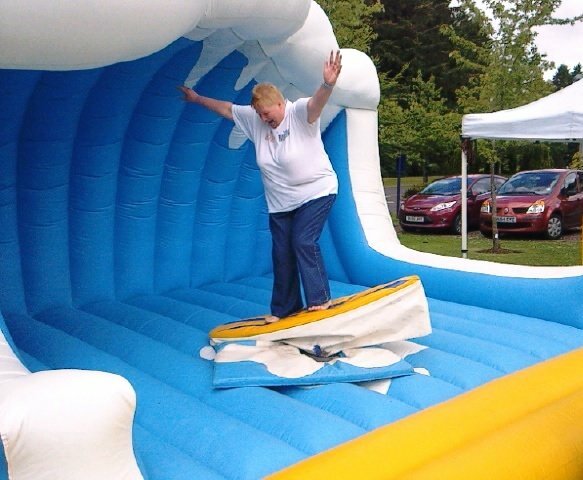 There is always, of course, a star of the show, and this Corporate Family Fun Day was no different - step forward, queen of the waves, legend of the Surf...June! Her balance and technique astounded all, she would not have looked out of place riding the waves at Bondai Beach...maybe next year you'll be able to last a little longer than just a few seconds June...! 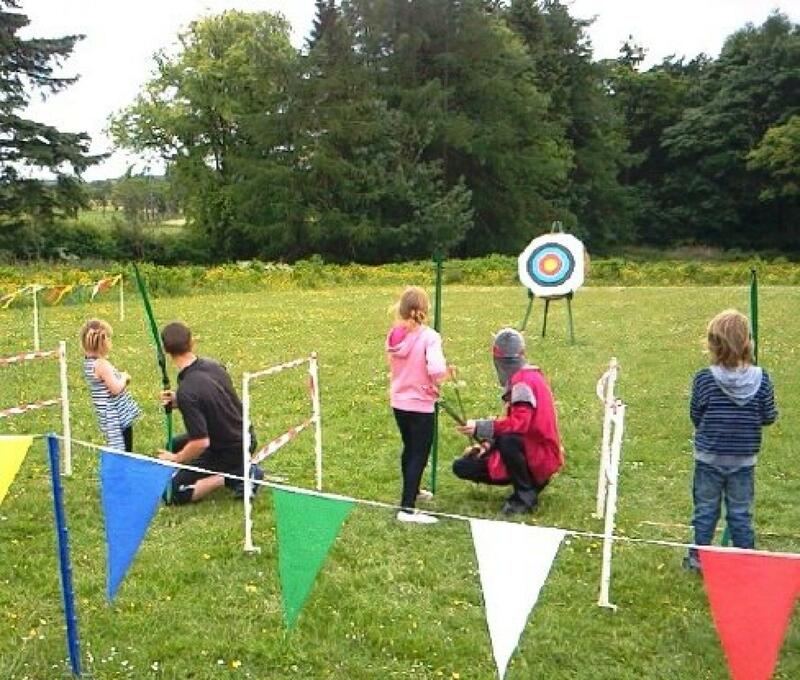 There was plenty more exciting Corporate Family Fun Day entertainment on show, from the ever popular Laser Clay Pigeon Shooting to the Medieval Themed Archery, where there were more than just a couple of Robin Hood heroes on show! Hanging fruit proved to be no match for many of our Archers, and the Archery Competition went down a storm, with fabulous shots firing in from all angles! The Medieval Themed Treasure Hunt also proved to be a big hit, though there is a rumour that Paula is still out there looking for the last clue...! 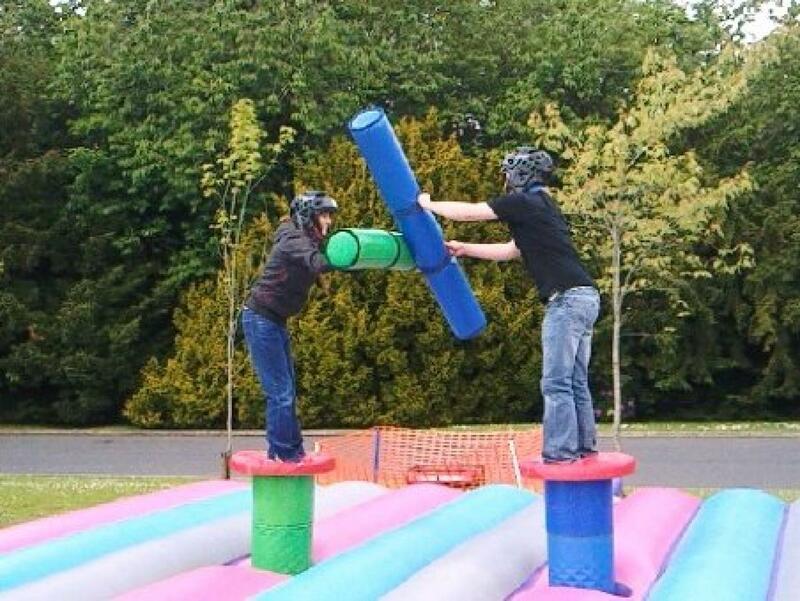 As the afternoon turned to evening and the summer sunshine began to fade, it was clear that all in attendance had really enjoyed a fantastic day of Corporate Family Fun Day entertainment at Crutherland House Hotel. A big cheer and a thank-you must go to June and Paula for all their hard work and committment in organising such a successful Corporate Family Fun Day Event. 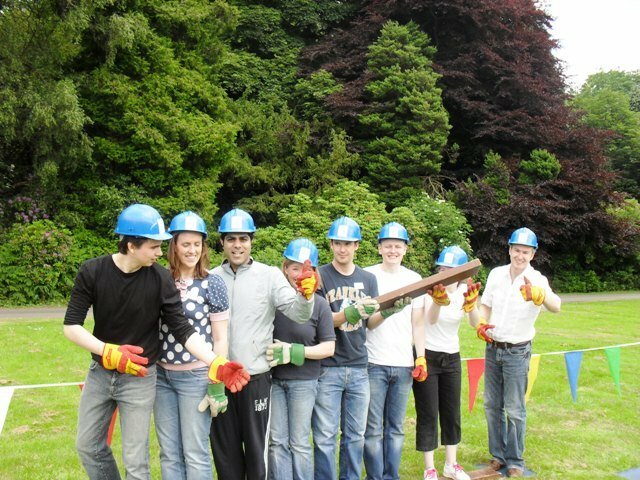 The PPD group were a complete pleasure to work with, and we at Team Challenge Company certainly look forward to seeing you again in the near future...maybe next time some of our staff will go into the stocks...but then again, maybe not!